Okay, at the risk of sounding like a simple ranter, I’m dropping in a quick cautionary post to urge ALL who are hypermobile (whether you have a Hypermobility Spectrum Disorder or EDS or not, diagnosed or not) to AVOID all anti-biotics from the fluoroquinolone or “quin” family but especially “Cipro”. Why? Because we seem to be prone to an experience called “floxing” and resulting tendon rupture, for which the drug now has a black box warning. I was inspired to write this after seeing someone posting about their bad experience taking Cipro in a Facebook support group for the umpteenth time just now and experiencing these negative effects, so I felt a post was in order. I’m not a doctor, and no I do not have any scientific data to back this up yet, sorry, and I know a lot of (likely Aspie B&W thinking) patients and doctors will take issue with it for that reason, but… I have several good EDS friends who HAVE been “floxed”, and one whose life was altered permanently from it. I.e, she experienced a connective tissue “onset storm” just like mine after taking just 2 pills several years ago. Uhm!! I haven’t taken any anti-biotics of any kind in years, as I studiously avoid them as much as possible through good nutrition and lifestyle. I also don’t have kids, so am less exposed than many to all the bugs out there, blessedly. Trust me, I was a little skeptical at first, figuring he just had an axe to grind (which he does), so it was just going to be one giant rant saying “CIPRO IS EVIL!” which in a sense it is. But it’s very well written and his case is well laid out, such that I was convinced. Further, his floxing story also matches my “storm of onset” experience quite well also, though again, I did NOT take Cipro, so mine was likely hormonally driven. But when my new close fellow EDS friend described virtually the same experience and we brought it up in our EDS group, several others also expressed similar experience. And more come out of the woodwork every time it is mentioned. 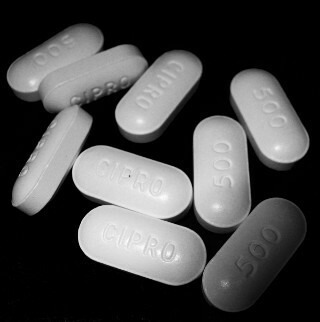 That said, I know someone with MCAS who can only take Cipro now because of allergies and reactions to all other antibiotics. I truly pray they never get floxed! 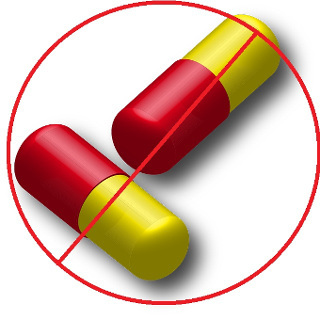 And fellow Ehlers-Danlos Syndrome patient and smart blogger (and fellow techie) Zyp Czyk just wrote a lengthy post about the matter including more documentation and warnings for all fluoroquinolones as of April 2015. “Avoid fluoroquinolone drugs if you have a SNP in CYP1A2 (like me) because these drugs are strong inhibitors of the gene and the drug will build up quickly. Strong inhibitors of the gene reduce clearance of the offending medication which gets metabolized through that pathway. In my example the “FQ drugs” or fluoroquinolones as they are known pharmaceutically are drugs that get metabolized through this pathway CYP1A2, and if you are homozygous positive (+/+) it doesn’t work well to begin with so the FQ drugs build up, and they get toxic quickly. They have a black box warning already from the FDA for tendon ruptures. I wonder how many of those people with severe side effects from FQ drugs had a SNP for that?! And most recently (May 2016), the FDA just urged increased caution in prescribing them finally, hypermobile or not here. This is huge, as they are notoriously slow to act! Of course, we hope they’ll go further someday, but this is a good start and caution. Update 7/31/16: Forbes magazine even just wrote a post about it too urging caution. Update 3/19/17: Sure enough another young woman has been struck down badly as she posted here, ugh. 20 surgeries in 7 years ~! Lordy! Update 4/1/17: And, I just learned there’s a growing number of lawsuits against the name brand drugs shown here. Alas, it appears you can’t sue for damage done by using the generics. Update 4/4/17: Just learned about yet another great article from 2010 in the New York Times here that talked all about the growing lawsuits over side effects from Cipro here. So, clearly the evidence is mounting. And don’t take my word for it, but I would discourage their use generally, but especially in the hypermobile population, and especially in anyone with that last genetic defect named above, as I’m increasingly (albeit unscientifically) convinced we are the ones who generated the black box warning about tendon ruptures. It sort of makes sense if you consider our already faulty and hence weak connective tissues to begin with. Update August 2018: I just received the following 3 links, one of them to a 4 hour public hearing hosted by the European Medicines Agency and live streamed on June 13, 2018 here. Here are the written submissions to the same public hearing on quinolones and fluoroquinolones hosted by the EMA just above in June 2018. Really compelling stuff. And here is the 8 page Summary of the EMA Public hearing on quinolone and fluoroquinolone antibiotics. Update 3/4/19: Great news, drug maker Janssen has discontinued manufacture of Levaquin due to all of the backlash and adverse event reporting. Unfortunately this doesn’t stop the makers of generic versions, but it’s a big step in the right direction. Keep pounding the drum everyone! I don’t know of anything specifically connecting the quinolones to MCAS and POTS, but considering that EDS and MCAS and POTS often play so well together in the sandbox (come together so often), it wouldn’t surprise me. I.e, it sounds like it triggered a sort of onset flare or storm for you, but MCAS and POTS were predominant for you, vs EDS for me. Also, we can have bad MCAS /MCAD reactions to any med, so that makes it harder to say in your case. I.e, one could trigger to Tylenol or any other drug/antibiotic even not in the quinolone family due to MCAD of any kind (MCAS or Mastocytosis or ?). I personally strongly consider POTS to be the natural result of lax tissues and mast cell mediators causing so much vasodilation among other things, but I’m not a doctor. Have you been checked for hypermobility yet? I don’t understand how you can say you were skeptical and he just had an axe to grind. There are thousands of us damaged by fluoroquinolones, and nobody believes us. It’s unreal. Why in the world would we lie about that? And why should only the fact that his post was ‘well written’ make you believe him? You can’t argue with or deny the many thousands of us, and one day our voices WILL be heard. But I do encourage being skeptical and keeping a discerning mind about any and everything you read always – allow for multiple possibilities, and wait and weigh things with your own evidence, and scientific evidence when available. That said, I’m very sorry for your clearly terrible experience from floxing. I hope you are getting some good support around it. I know there is at least one group or groups trying hard to help your voices be heard properly. I wish you much love and luck. Peace to you and thanks for adding your voice. That’s why I even wrote this post – on all your behalf. Cheers. Uhm, connective tissue trouble anyone? I got your proline deficiency right here! Yes, thank you. BTW, a friend’s DC found that all of his CTD patients are deficient in… : proline, cysteine, lysine and methionine. Surprise. She tried supplementing with some amino acids for a bit but succumbed to the high levels of aluminum in the adjuvents. So switched to just Vit C shots and is doing great. not all with CTD (connective tissue disorder) are hypermobile. a sibling has no signs of hypermobility but had a retinal detachment after being prescribed Cipro.. and our father died of a AAA. Keep up the good work. I am a practicing internist who does functional medicine. I have two siblings with EDS. They both took quinolones at some point. I told him I thought there was a connection and was searching the Internet when I ran across your blog post. All of those antibiotics should be taken off the market. My interest is been in your bowel syndrome having written the first book for patients with the disorder back in 1989. Recently we have seen a clustering of patients who experience sudden abdominal bloating. In my 34 years of practice I have not seen anything exactly like this. Common thread-they all have been on quinolone and my theory is is is messed up their enteric nervous system. We know that quinolones can affect the peripheral nerves. I’m certain my sister, who was a pioneer in the natural foods business and outliving most of the time in Paris. Her home is Boston. She has become an EDS Crusader and is looking to start some sort of international foundation. Aw thanks, will do! You too – the more EDS aware docs we can get the better!